Not only are V.I.P. 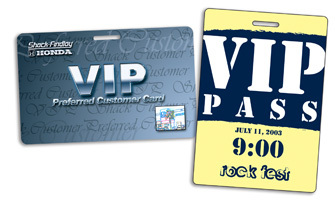 Passes great for verification, but they make a great collectable after an event is over. They can be printed in a variety of shapes or sizes. Please contact Plastic Works to discuss the many options offered.